This week's 31 Days of Oscar lineup is overflowing with classic-movie goodness. 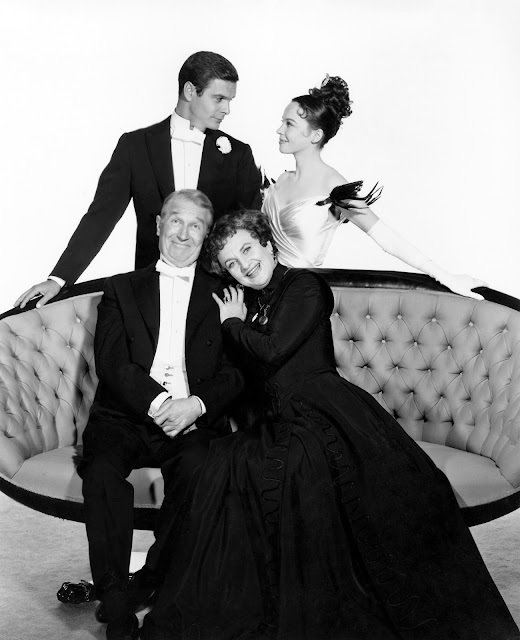 You can turn on your TV at almost any time and settle down on the couch to watch an all-time classic like All About Eve (photo above with Gary Merrill; Bette Davis; George Sanders; Anne Baxter; Hugh Marlowe, and Celeste Holm), The Thin Man (1934), or The Adventures of Robin Hood (1938). Note: All times are ET and the highlighted text has links to full-length articles. Here's a link to the complete schedule for Feb. 4-Feb. 10. Battleground (1949) at 8 pm Monday, Feb. 4: Director William Wellman's World War II film about a group of ordinary soldiers during the Battle of Bastogne was a forerunner of movies like Saving Private Ryan (1998) and Dunkirk (2017). 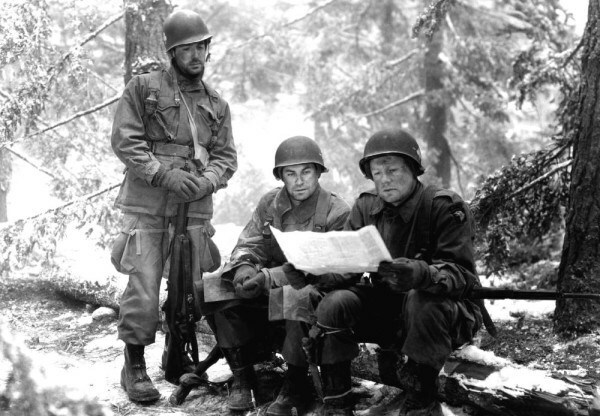 The Oscar winning black-and-white cinematography combines real combat footage with location shooting in the Pacific Northwest that brings a gritty realism to the plight of the G.I.s, who are fighting both the German army and the elements. Part of a night of 1949 best cinematography winners. Laurence Olivier as the melancholy Dane in Hamlet (1948). 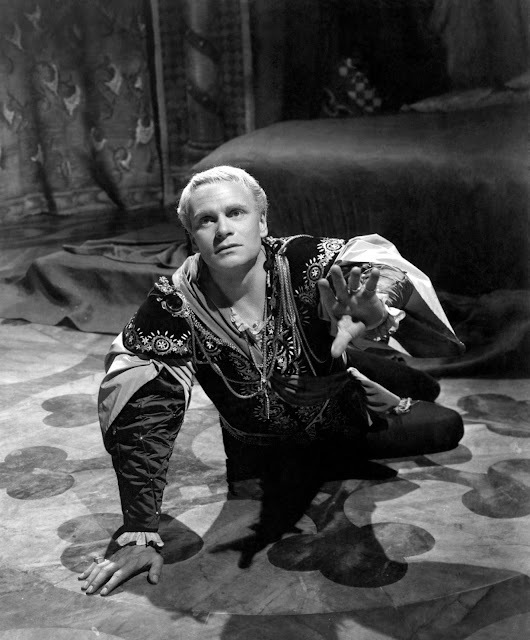 Hamlet (1948) at 12:15 am Monday, Feb. 4: Director and star Laurence Olivier's Oscar-winning version of Shakespeare's tragedy isn't a traditional film noir, but it's so suffused with noirish elements -- moody chiaroscuro cinematography, a brooding antihero, a scheming femme fatale who just happens to be our hero's mother (I'll admit that last detail doesn't occur too often in old Hollywood films) -- that I consider Hamlet a sub-genre all its own: the medieval film noir. Part of a late-night lineup of Sir Larry's Shakespearean roles. 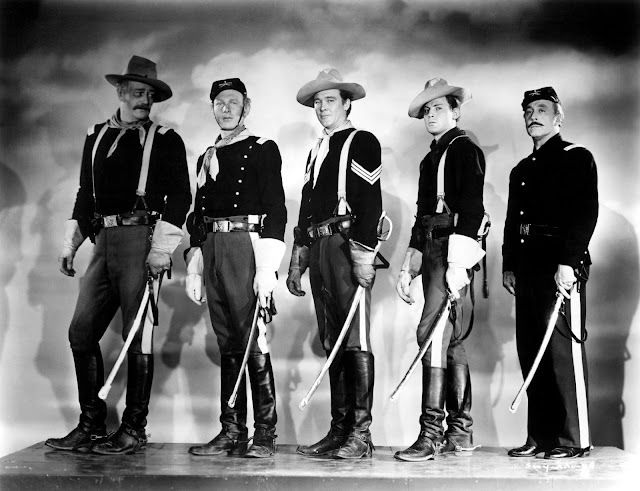 John Wayne, Harry Carey, Jr., Ben Johnson, John Agar, and George O'Brien in a publicity still for She Wore a Yellow Ribbon (1949). The daytime theme of school days features French director Francois Truffaut's seminal coming-of-age film The 400 Blows (1959) at 9:30 am Monday and the urban drama The Blackboard Jungle (1955) at 6 pm. TCM is also airing the 1949 color cinematography winner, She Wore a Yellow Ribbon (1949) at 10:15 pm. This John Ford-John Wayne Western has majestic Monument Valley vistas. 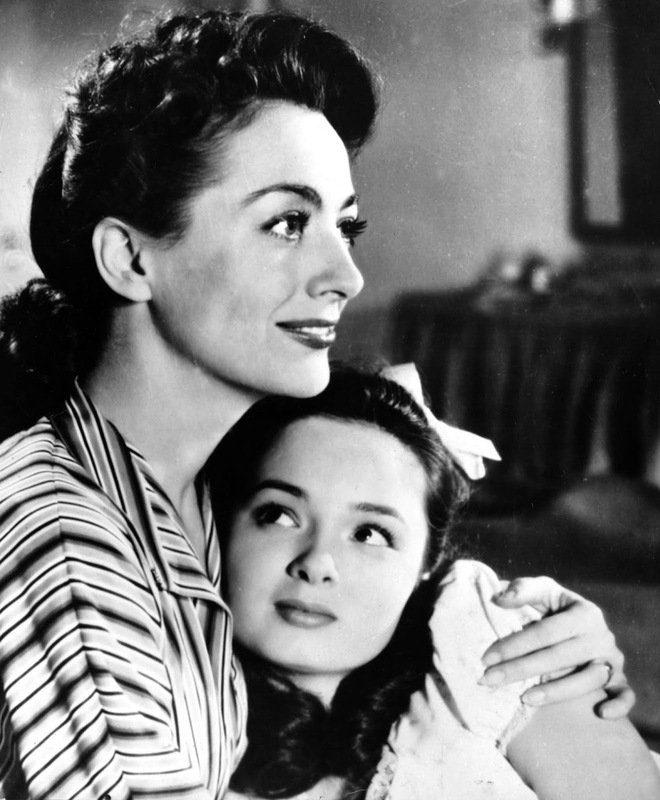 Mildred Pierce (1945) at 2:30 am Tuesday, Feb. 5: Old Hollywood icon Joan Crawford won her only Oscar for this film noir about a housewife turned restaurateur who is betrayed by her spoiled daughter (Ann Blyth). Michael Curtiz directs with his usual energy and there's great supporting performances from Eve Arden and Jack Carson. Part of a late-night lineup of noirs starring Crawford and Bette Davis. The Letter (1940) at 12:30 am Tuesday, Feb. 5: Old Hollywood icon Bette Davis gives a richly nuanced performance as the adulterous wife of a rubber planter (Herbert Marshall) who spins a web of deceit (signified by her intricate lace-making) around everyone in her path. 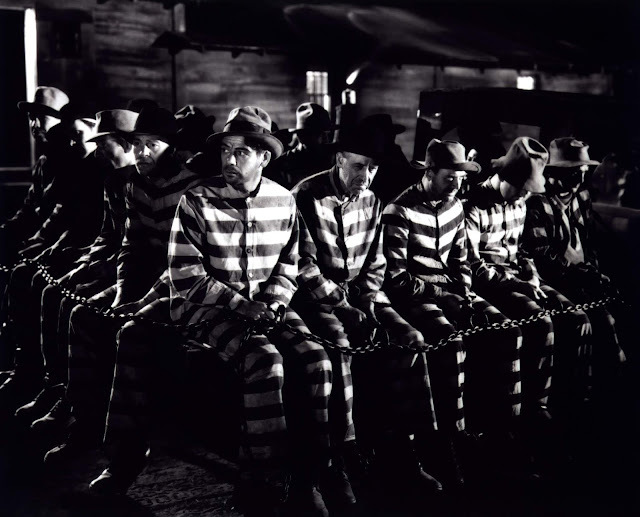 One of the first noirs made in old Hollywood, the shocking opening scene is unforgettable. The daytime lineup of foreign films brings Japanese director Akira Kurosawa's hugely influential masterpiece Rashomon (1950) at 8:30 am Tuesday and the documentary-style drama The Battle of Algiers (1966) at 2 pm about a revolution in the North African country. The prime time lineup features two films that won Anthony Quinn a best supporting actor Oscar. 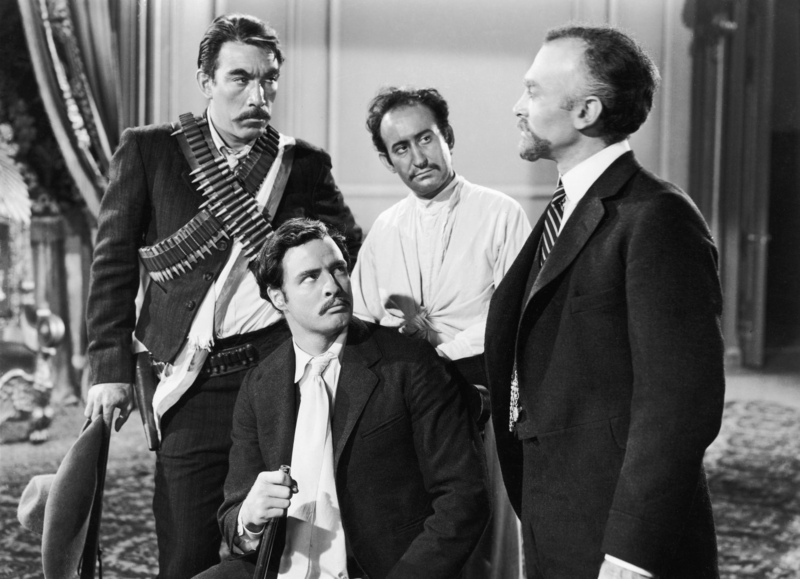 Quinn plays the brother of Mexican revolutionary Emiliano Zapata (Marlon Brando) in Viva Zapata! (1952) at 8 pm and painter Paul Gauguin in the Vincent Van Gogh (Kirk Douglas) biopic Lust for Life (1956) at 10:15 pm. 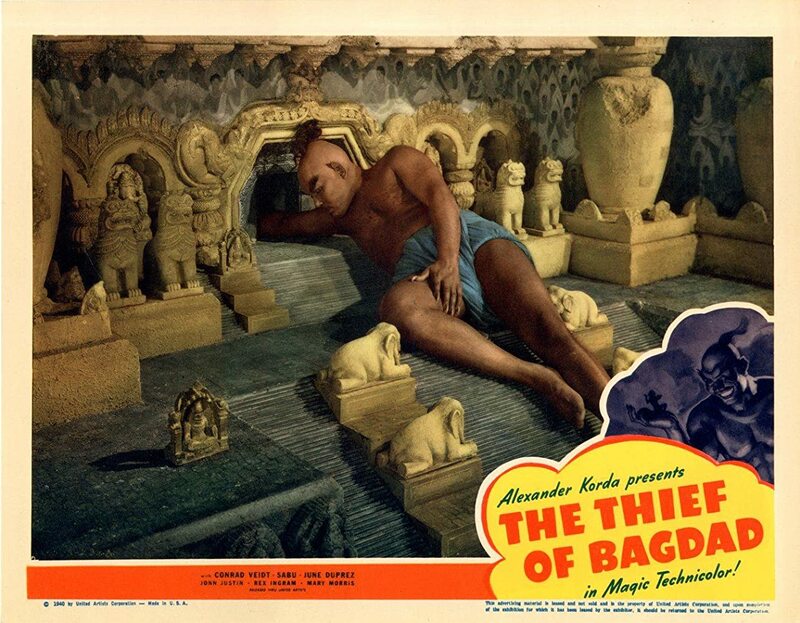 The Thief of Baghdad (1940) at 10 am Wednesday, Feb. 6: This magical British film about a young boy (Sabu) who happens upon a genie (a wonderful Rex Ingram) is one of the special effects triumphs of forties cinema. The Oscar-winning cinematography, special effects, and art direction are a feast for the eyes, but the Aladdin-esque plot is also very entertaining, especially Conrad Veidt's performance as a villainous magician. Part of a daytime lineup of fantasy films. 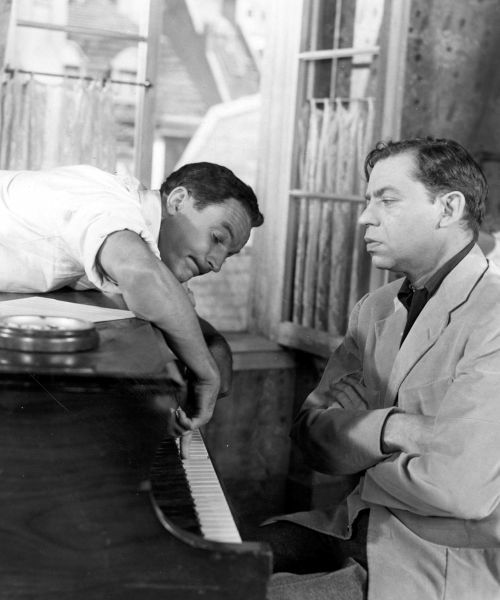 An American in Paris (1951) at 2 am Wednesday, Feb. 6: Gene Kelly points out a note to a grumpy Oscar Levant on the set of this best picture-winning musical. 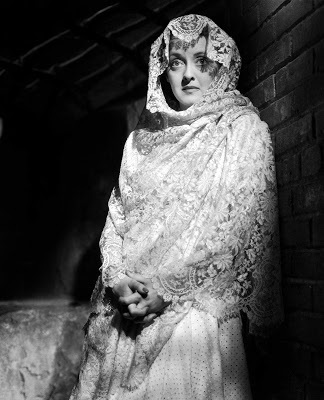 Daffy spiritualist Margaret Rutherford summons the ghost of Rex Harrison's wife (Kay Hammond) in the delightful Noel Coward comedy Blithe Spirit (1945) at 6 pm Wednesday while John Wayne, Richard Burton, Red Buttons, and an all-star cast recreate the D-Day invasion in The Longest Day (1962) at 8 pm. If you're staying up late (or getting up early), the joyous musical Gigi (1958) is on at 4:15 am. I Am a Fugitive from a Chain Gang (1932) at 11:30 am Thursday, Feb. 7: This expose of Southern chain gangs received three Oscar nominations, including best actor for star Paul Muni. Still one of the most powerful of the Warner Bros. social-problem films, the haunting final scene is both poignant and unforgettable. Part of a daytime lineup of prison films. 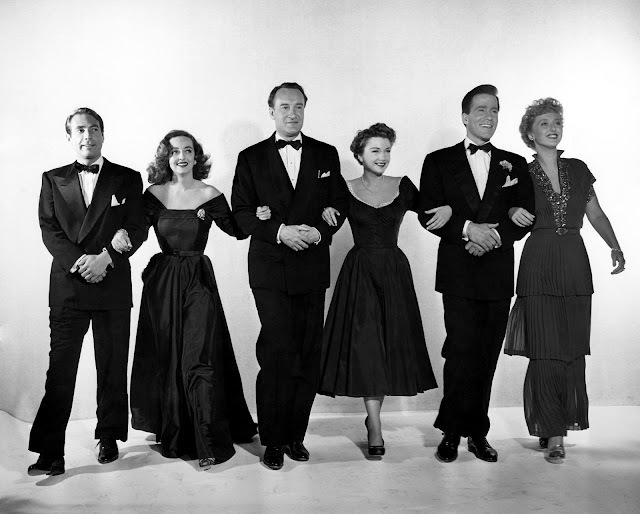 All About Eve (1950) at 8 pm Thursday, Feb. 7: Celeste Holm and Bette Davis stir their martinis in the famous party scene in this TCM fan favorite. 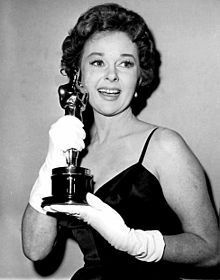 Leading lady Susan Hayward finally won her much-coveted Oscar for playing a woman on death row in I Want to Live! (1958) at 3:15 pm Thursday. You can't get much better swashbucklers then The Mark of Zorro (1940) at 12:30 am and The Adventures of Robin Hood (1938) at 2:15 am. Cary Grant, Irene Dunne, and Randolph Scott in My Favorite Wife (1940). My Favorite Wife (1940) at 2:30 pm Friday, Feb. 8: This delightful screwball comedy is kind of gender-reversed castaway with shipwreck survivor Irene Dunne returning to from years on a deserted to island to find that her husband (Cary Grant) has remarried a scheming socialite (Gail Patrick). 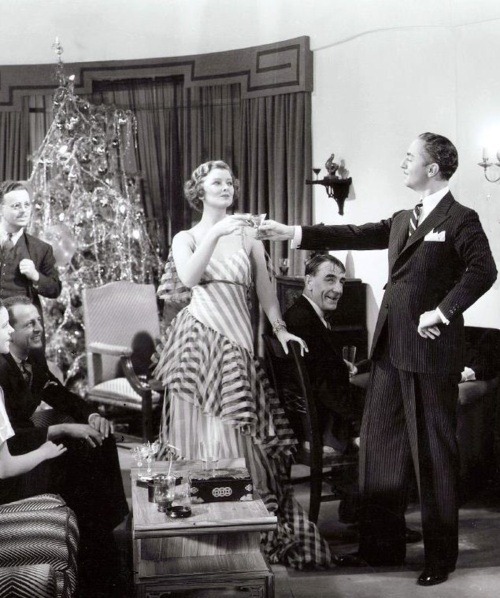 This scenario sets up a lot of screwball fun courtesy of the witty Oscar-nominated script from director Leo McCarey and Bella Spewack and Sam Spewack. Part of a daytime lineup of comedies. Katharine Hepburn and Spencer Tracy play married lawyers who take opposite sides of a case in Adam's Rib (1949) at 6 am Friday. 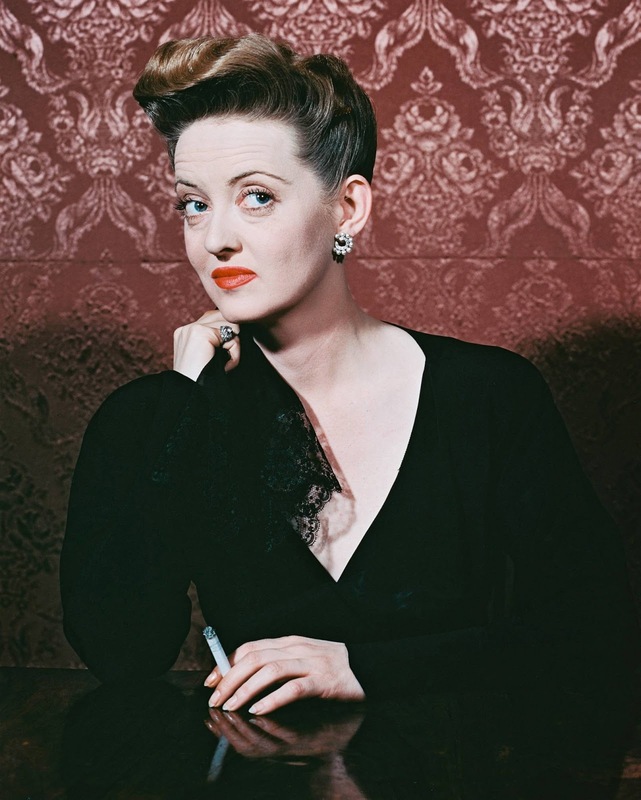 Grab your hankies for the romantic weepie Now, Voyager (1942) at 8 pm, which is part of a prime time lineup of Oscar-nominated therapy sessions. Sidney Poitier and Rod Steiger in In the Heat of the Night (1967). 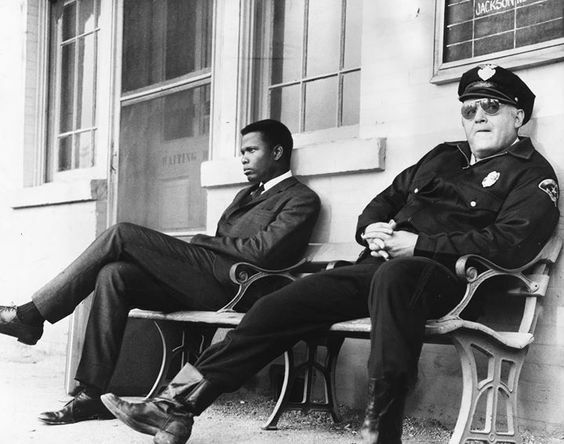 In the Heat of the Night (1967) at 8 pm Saturday, Feb. 9: Director Norman Jewison's Deep South noir about a small-town cop (Rod Steiger) and a big-city detective (Sidney Poitier) who join forces to solve a murder is a landmark film of the Civil Rights era. It won five Oscars, including best picture and best actor for Steiger, but Poitier's righteous performance as Virgil Tibbs is really the centerpiece of the movie. Part of a prime time lineup of Poitier films. 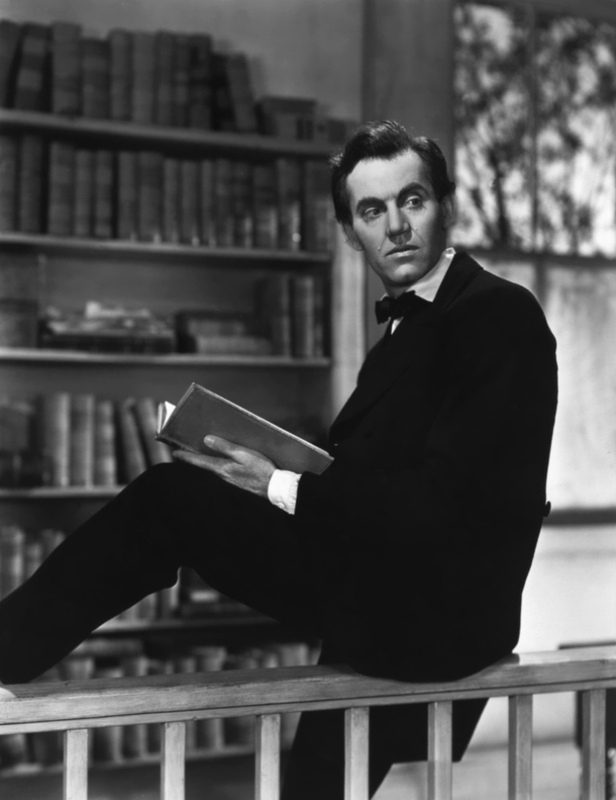 Henry Fonda as Abraham Lincoln in Young Mr. Lincoln (1939). The daytime lineup of Oscar-nominated biopics is overflowing with great acting starting with Paul Muni's winning performance as a groundbreaking French scientist in The Story of Louis Pasteur (1936) at 8 am Saturday and Henry Fonda portraying the 16th president as an inexperienced country lawyer in director John Ford's Young Mr. Lincoln (1939) at 9:30 am. James Stewart plays a famous baseball pitcher who makes a comeback after a devastating accident in The Stratton Story (1949) at 11:15 am followed by two great musicals biopics: James Cagney as Broadway showman George M. Cohan in Yankee Doodle Dandy (1942) at 1:15 pm and Doris Day as colorful Western character Calamity Jane (1953) at 3:30 pm. Finally, Charlton Heston as Michelangelo and Rex Harrison as Pope Julius II battle it out over the Sistine Chapel in The Agony and the Ecstasy (1965) at 5:30 pm. Jane Powell and Fred Astaire dance to "Ev'ry Night at Seven" in Royal Wedding (1951). Royal Wedding (1951) at 3 pm Sunday, Feb. 10: What better way to spend a snowy Sunday afternoon than with this delightful musical about a brother-and-sister vaudeville team (Fred Astaire and Jane Powell) who travel to England for the wedding of the future Queen Elizabeth II. This film includes Astaire's famous dance on the ceiling, but the real highlight is Powell's wisecracks in the comic number, "How Could You Believe Me When I Said I Loved You When You Know I've Been a Liar All My Life." Part of a daytime lineup about travel. A night dedicated to movie canines brings married detectives Nick and Nora Charles (William Powell and Myrna Loy) and their delightful fox terrier Asta in The Thin Man (1934) at 9:45 pm Sunday. 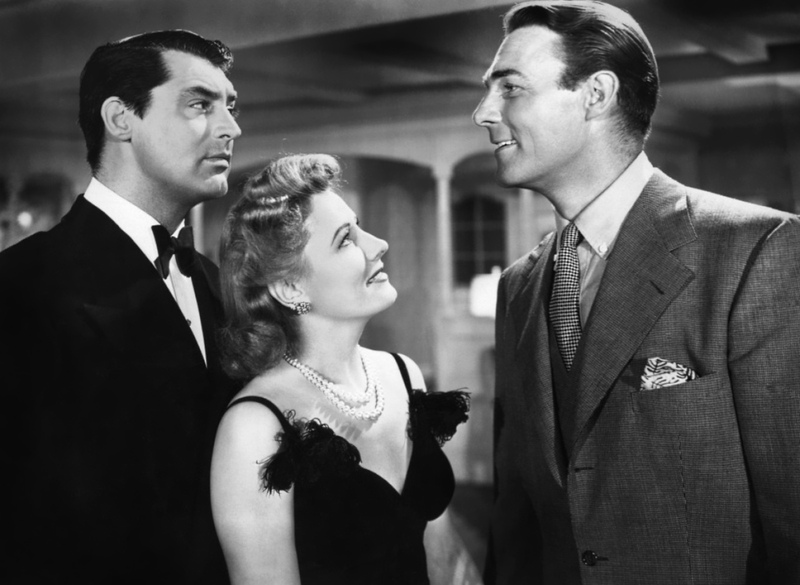 You can also catch Greer Garson's Oscar-winning performance as Mrs. Miniver (1942) at 11:30 pm.